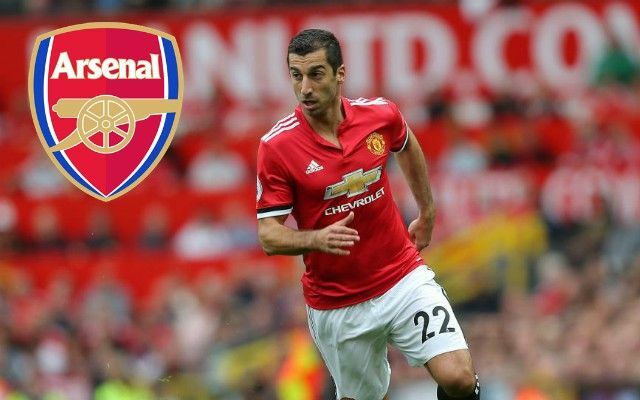 Arsenal look to be closing in on a transfer swoop for Manchester United playmaker Henrikh Mkhitaryan as part of the Alexis Sanchez deal, according to latest reports. The Daily Express earlier reported that Sanchez to United looked a formality, with the club confident of bringing him in within the next 48 hours, in time to make his debut against Burnley this weekend. Mkhitaryan’s move in the opposite direction, however, did not look so straightforward, with the Daily Mirror claiming he’d only move to the Emirates Stadium for the right money. The Metro also previously reported of initial doubts from Mkhitaryan about making the move to Arsenal, but it’s now good news for the Gunners as he looks to have had a change of heart. beIN Sports journalist Ibrahim Khadra now claims a swap deal involving the pair is ‘almost a done deal’ and that both players should be registered in time for the next round of Premier League fixtures, whilst adding that he’s now just waiting for the official announcement. While Mkhitaryan has struggled for consistency at United, he looks more suited to how Arsene Wenger likes his Arsenal side to play and could end up being a smart addition. The Armenia international was previously one of the top creative players in Europe at former club Borussia Dortmund and if he gets back to his best in an Arsenal shirt, he’ll certainly help ease the pain of losing Sanchez to the Red Devils. Elsewhere, the Telegraph claim Sanchez has agreed a four-year contract to join United, though they remain unclear on the latest regarding Mkhitaryan’s decision in moving the other way.